Will it be romance or woe-mance? Check out these photos for the upcoming Ben & Lauren: Happily Ever After? TV show, premiering on Freeform, Tuesday October 11, 2016 at 8:00pm EDT. Next Entertainment produces in association with Warner Horizon Television. Mike Fleiss, Martin Hilton and Jason Ehrlich executive produce. Jack Mori is co-executive producer. 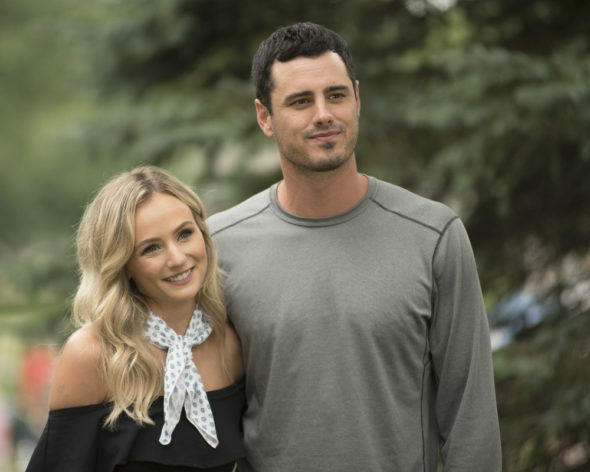 Ben & Lauren: Happily Ever After?, follows Ben Higgins and fiancée Lauren Bushnell — veterans of and “successful” couple from the 20th season of The Bachelor TV series on ABC. Will they find their happily ever after, or will the audience dissolve into laughter? Only Freeform knows for sure. You all know and love Ben Higgins and his fiancée Lauren Bushnell from season 20 of The Bachelor. What happens after the final rose is handed out and normal life ensues? This new reality series will follow the happy couple as they prepare to walk down the aisle and begin their brand-new life together while navigating the real world after the splendor of The Bachelor’s exotic dates and fantasy suites has ended. During the show some fan favorites from The Bachelor and The Bachelorette will stop by to visit and share their own advice on life after the show. What do you think? Are you a fan of The Bachelor TV show franchise on ABC? Do you plan to watch the Ben & Lauren: Happily Ever After? TV series premiere on Freeform? More about: Ben & Lauren: Happily Ever After?, Ben & Lauren: Happily Ever After? : canceled or renewed?, Freeform TV shows: canceled or renewed?, Happily Ever After?, Happily Ever After? : canceled or renewed?, The Bachelor, The Bachelor: canceled or renewed? The TV series is so boring and so staged. I stopped watching this ridiculous TV show. Then Ben calls off the wedding, this was the whole purpose of the Bachelor.